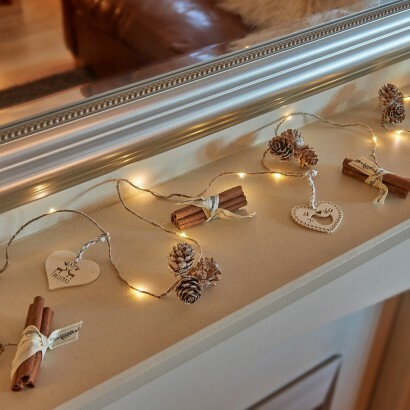 Traditional, rustic and full of Christmas cheer, these Christmas string lights make a stunning festive decoration. 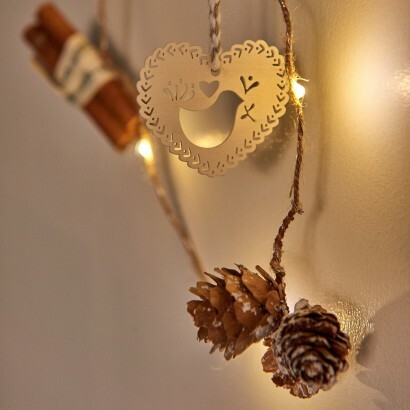 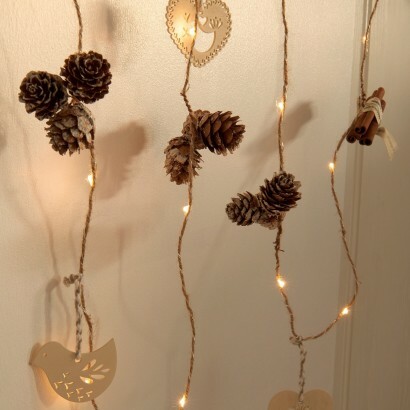 Battery operated for easy placement, these decorative fairy lights feature snow kissed pine cones, bundles of cinnamon and wooden heart shapes and doves all sitting on a traditional string lit with warm white LEDs for a beautifully cosy effect. 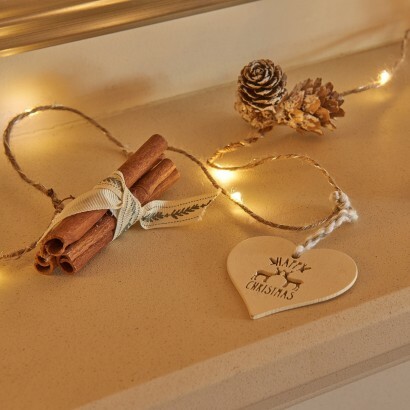 Their rustic appearance rings back to times gone by promoting peace and cosy warmth.